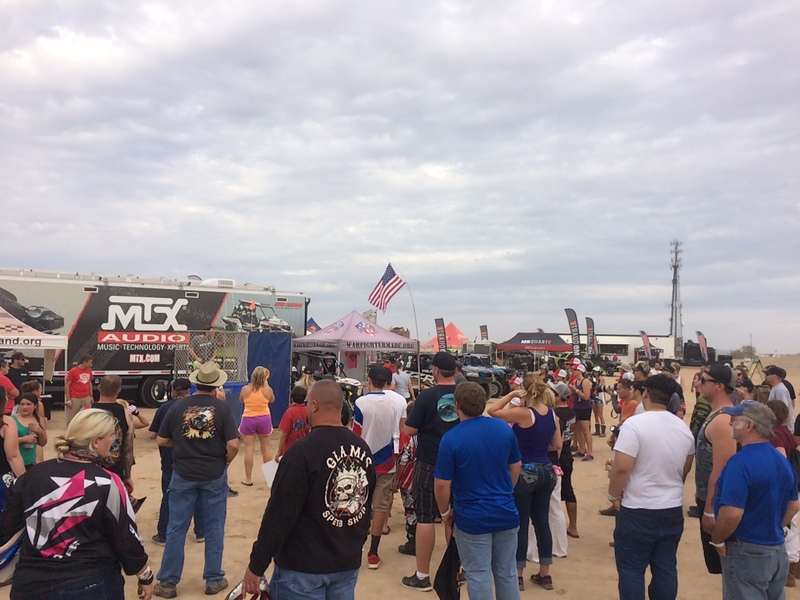 For the fourth consecutive year, MTX was on hand at Camp RZR West in the beautiful sand dunes of Glamis, CA to support Polaris at their biggest event of the year. RZR fans from across the country descended on the dunes for the start of riding season with the biggest party of the year. 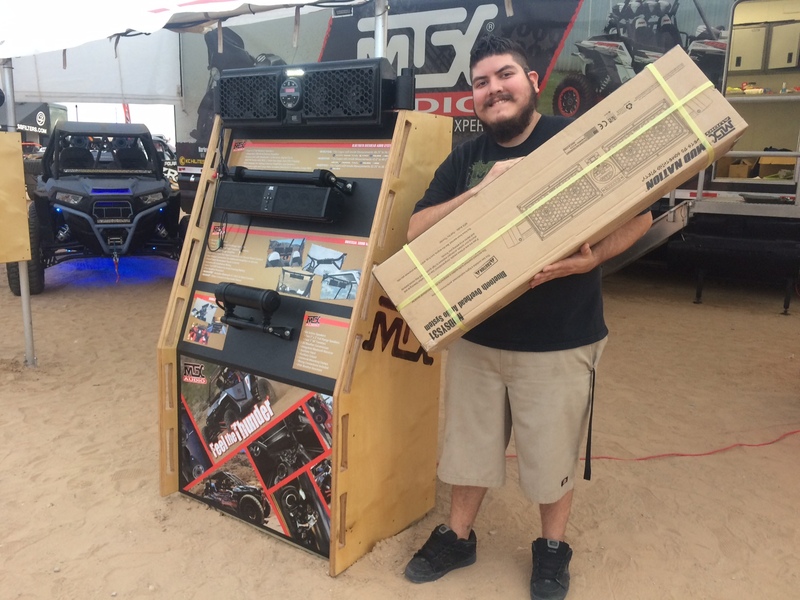 MTX was showing off all of their Polaris specific and universal off road solutions designed for side-by-sides including the new RZRPOD65 dash mount speaker pods and the RZRXP-10 amplified subwoofer, both designed specifically for Polaris XP1000 and 900 vehicles. Fans additionally were able to see MTX's XP1000 and XP4 1000 Turboo over the top builds that push the boundary of what is possible in a side-by-side audio system. 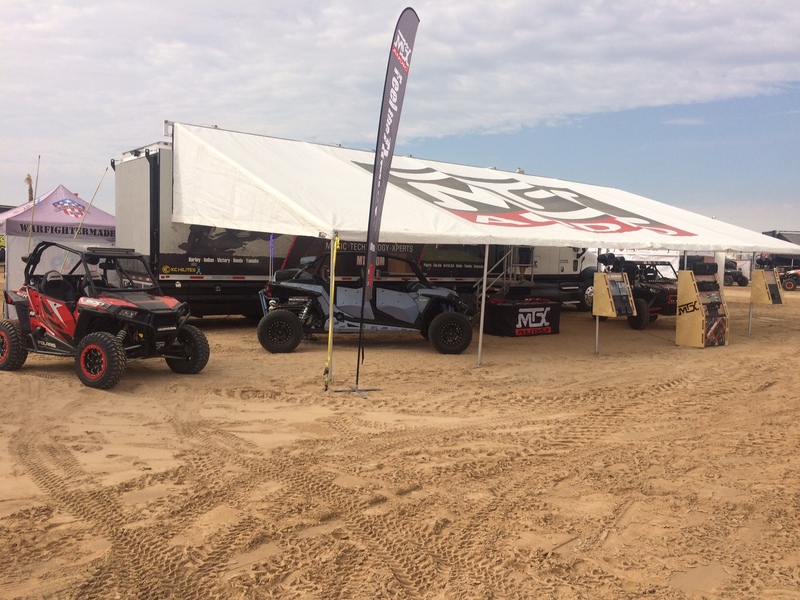 Jason and Jason were on hand keeping attendees entertained and out of the sun and you may have seen them running around the dunes in the MTX 900 showcasing our full RZRSYSTEM3 audio system. Thank you to everyone that attended, congratulations to all the prize winners, and we look forward to seeing everyone next year! The MTX booth was ready to go prior to the doors opening Friday morning. A large crowd turned out for the dunk tank happening at the warfightermade.org booth. The proud winner of a new MUDSYS31 bluetooth overhead audio system. 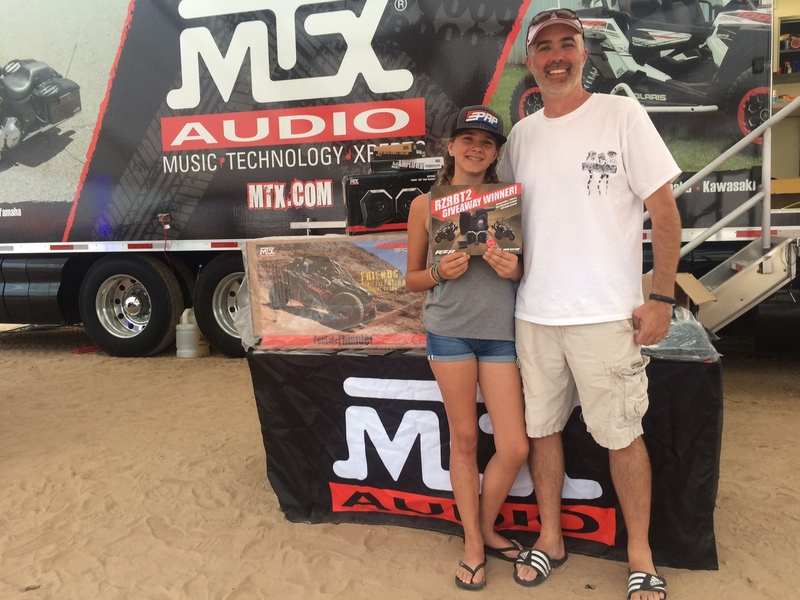 Congratulations to Claire and Brian for winning the complete RZR audio system, RZRBT2.